For Bill and Candace Fenn of North Carolina, the secret to a good life is simple: identify your principles and live by them. That’s why they’ve supported the Tax Foundation for two decades. As a veteran who served in Japan and returned for diplomatic duty, Bill understands how governments forget the purpose of tax policy. Bill and Candace began supporting the Tax Foundation in 2001 after receiving a letter from us, the way many of our donors learned of our work and joined our cause. Throughout the years, they’ve noticed that even when Washington faces budgetary and economic challenges, they can rely on the Tax Foundation to stick to its principles: simplicity, transparency, neutrality, stability. 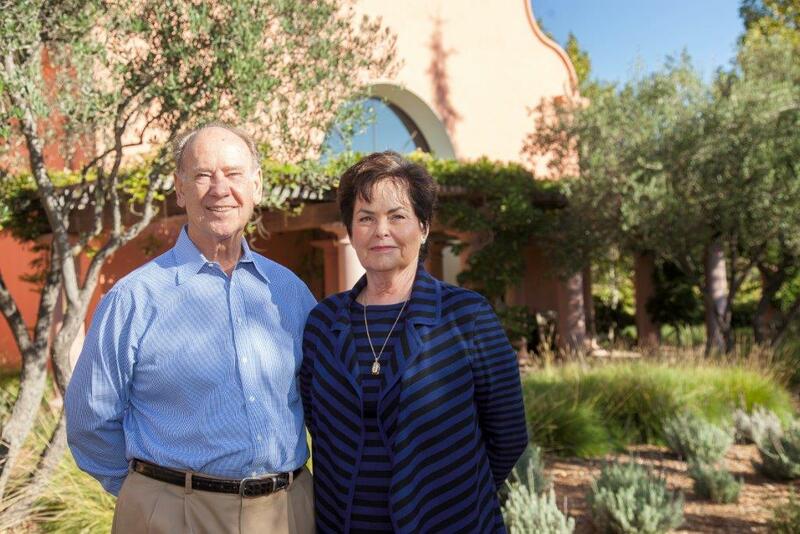 For Dennis and Judy Groth, the owners and founders of Groth Vineyards and Winery in Oakville, just northwest of Napa, California, the complexities of our nation’s tax policies are far from foreign. As a former CPA and partner at Ernst & Young, and later as the CFO of Atari, Dennis is keenly aware of how tax policy impacts the decision-making of companies and their employees. As family business owners, the two are regularly faced with the woes of California’s notorious taxes, along with those of every state where they sell wine. They support the Tax Foundation because it is uniquely effective at guiding tax policy in the right direction. “I see the Tax Foundation cited in The Wall Street Journal all the time. Members of Congress use Tax Foundation numbers. People trust their work. It’s important, really important,” said Dennis. And while they love the Foundation’s effectiveness and growing reputation at both the state and federal levels, what matters most to them is the organization’s commitment to remaining unbiased. “Unlike so many other groups, the work of the Tax Foundation doesn’t reflect personal biases, it lets good research and accurate data speak for itself. And that’s what’s important. That’s why people listen,” said Dennis. Like many of our supporters, Dennis’ and Judy’s first interaction with the Tax Foundation came through the mail. Over the years, the couple has become two of the organization’s most stalwart supporters, giving regularly, and even inviting Scott to come to their home to meet and discuss the important work of the organization with some of their friends. “We continue to support the Tax Foundation because we want the organization to continue growing. Policymakers and journalists are already listening to them, when they only have a small staff. Just imagine how much more they could achieve if they had more staff and resources,” said Dennis. More Donor Profiles Coming Soon!